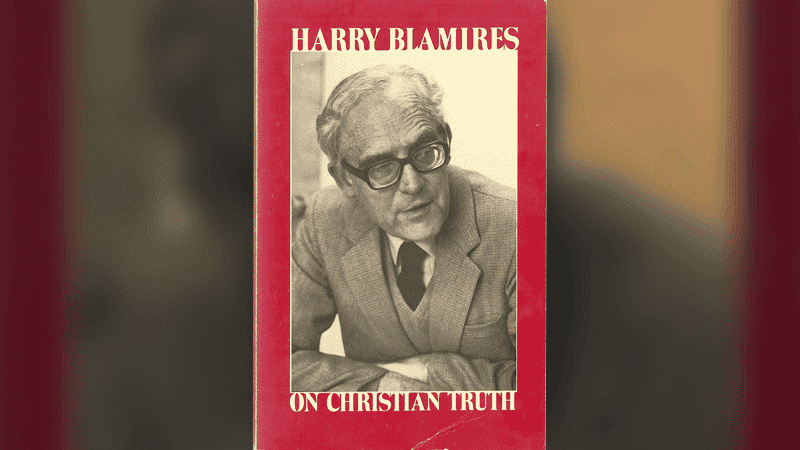 Christian thinker and author Dr Harry Blamires has died at the age of 101. Dr Blamires’ most influential book, The Christian Mind, was published in 1963, and is still in print. It argued that Christian thinking was being swept away by secularism. Born in 1916, Dr Blamires studied English at the University of Oxford under CS Lewis who became a close friend. He later became the Dean of Arts and Sciences at King Alfred’s College in Winchester. He wrote more than 30 books including novels, literary criticism and Christian apologetics. These include Where Do We Stand?, On Christian Truth and The Post-Christian Mind. There is no longer a Christian mind. There is still, of course, the Christian ethic; a Christian practice, and a Christian spirituality … But as a thinking being the modern Christian has succumbed to secularization. He accepts religion – its morality, its worship, its spiritual culture; but he rejects the religious view of life, the view which relates all earthly issues within the context of the eternal, the view which relates all human problems – social, political, cultural – to the doctrinal foundations of the Christian Faith. The late John Stott, former Rector of All Souls, Langham Place, said that one of the most influential books on him was Dr Blamires’ The Christian Mind, as it emphasises the importance of ‘thinking Christianly’. The Christian Mind continues to be used in Christian universities across the USA. The book was published around the same time as Honest to God, Anglican bishop John Robinson’s controversial book, which denied huge swathes of orthodox Christian belief. Secularism asserts the opinionated self as the only judge of truth. Christianity imposes the given divine revelation as the final touchstone of truth. Colin Hart, Director of The Christian Institute, said: “We thank God for the life of Dr Harry Blamires, he was a huge influence on many Christians through his writing. “Perhaps the greatest tribute that can be paid to him is to say that he has helped thousands of Christians recover the Christian mind. He was an inspiration in the founding of The Christian Institute. The funeral will be at St John’s Church, Keswick on 30 November 2017 at 1.30 pm.